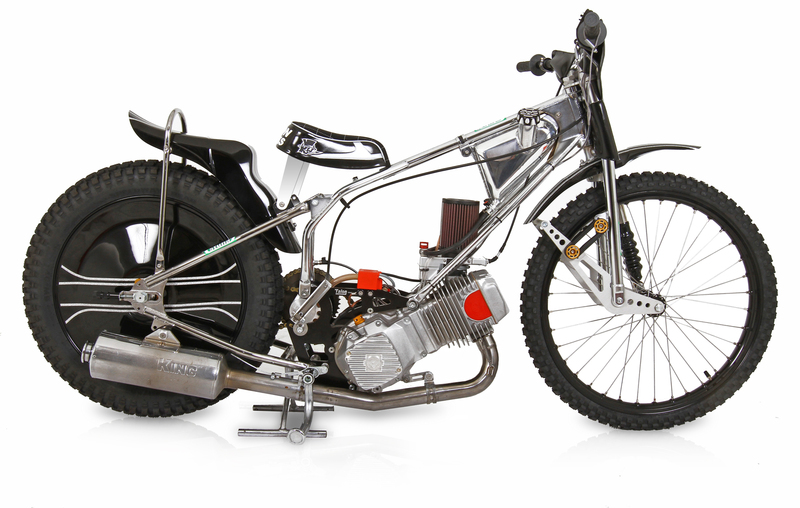 50 Years Of Legendary Speedway Racing! 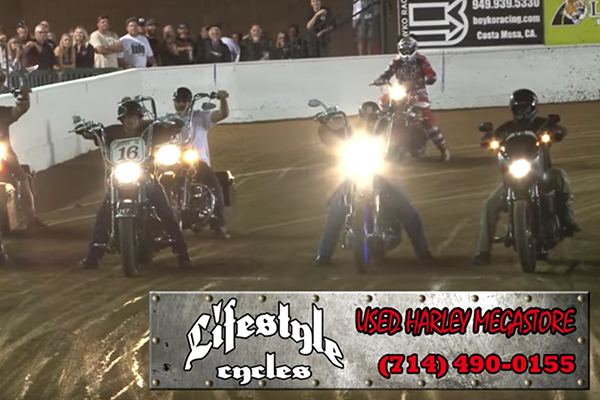 Costa Mesa Speedway… where you’ll see “mad men” on high-compression single-cylinders powering down short straights before throwing their bike on its ear and sliding at impossible lean angles around each end of the track. It’s a spectators’ dream! You won’t miss a thing due to the relatively small track and stadium viewing. The atmosphere and the noise is second to none, especially during floodlit night-time races. Only at Costa Mesa Speedway! 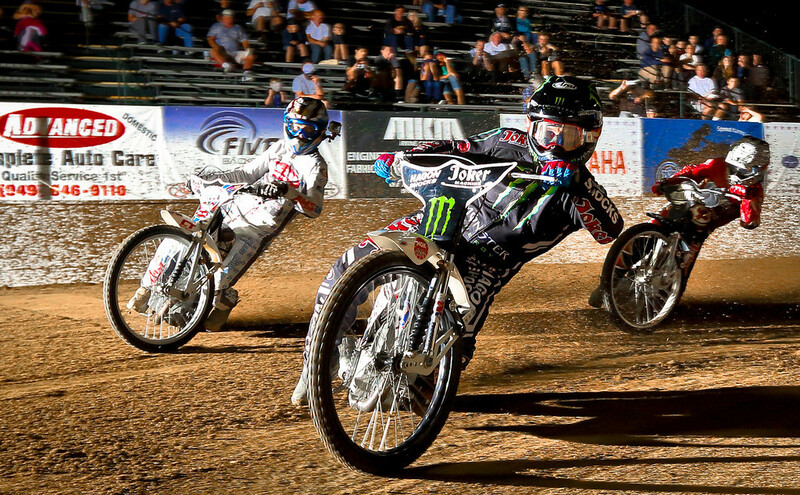 Professional Speedway Motorcycle Racing has a long and rich history at the OC Fairgrounds in Costa Mesa. 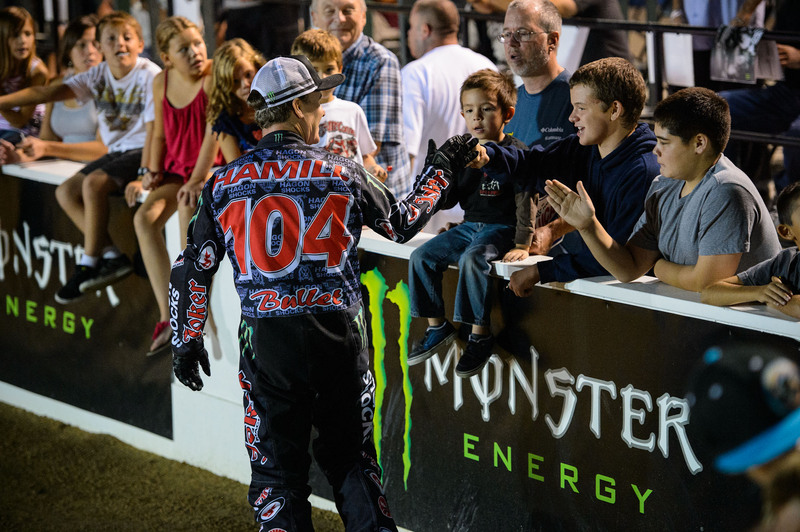 For 50 years the Speedway Races have been the most exciting and colorful family entertainment in Southern California. The race track at Costa Mesa Speedway is a 185 yards oval on the pole, it is 1/10 of a mile long. The track surface consists of a special clay base with decomposed granite. 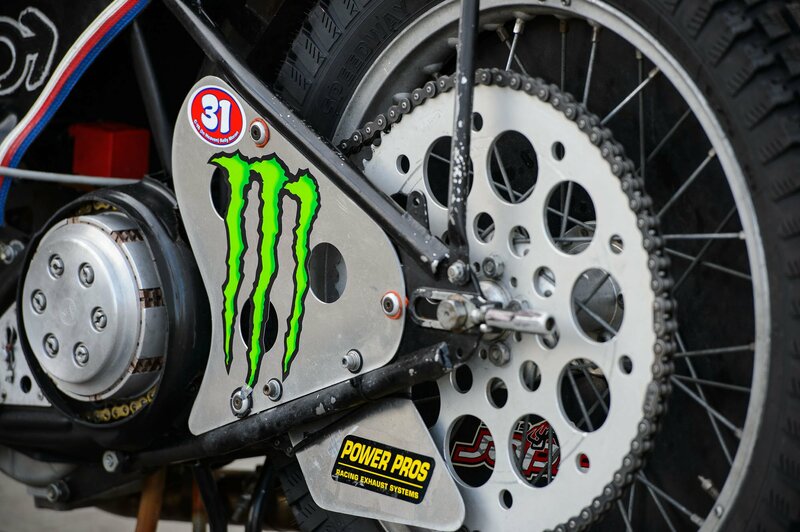 This special dirt combination can support the grinding rear tires and weight of the powerful Speedway Motorcycles; it’s a dirt that can assure speed and performance while providing safety for the rider. 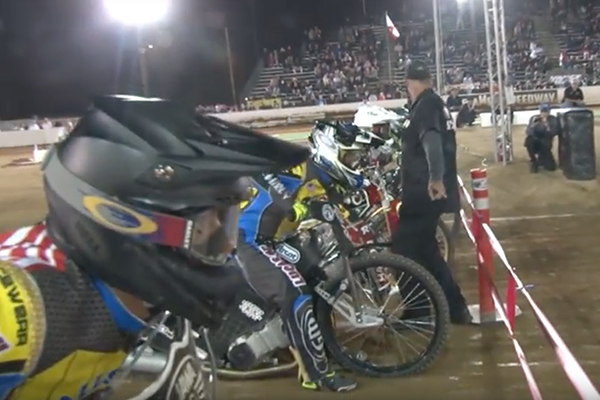 Also, the race track surface can form a “Blue groove” – the ideal line around the track where the dirt gets worn down into hard-packed DG from the Speedway Motorcycle tires. It can cause the rear to hook up faster and can be as hard as concrete. Is this good or bad? Depends on the rider! In 1967 Harry Oxley went to work for Jack Milne, owner of a motorcycle shop on Colorado Blvd in Pasadena, CA. 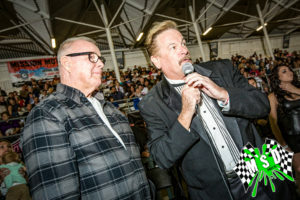 In the late 1960s, Harry Oxley and Jack Milne (1937 World Speedway champion) promoted speedway events in Van Nuys until they ultimately found what they were looking for at Costa Mesa. “He’s the godfather of speedway,” Brad Oxley says of his father. 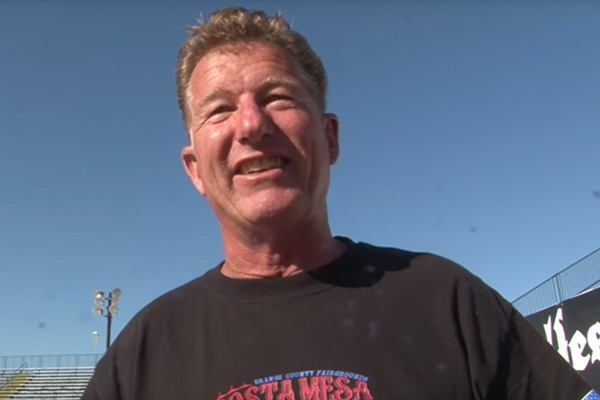 “He’s the one that has made all that is here at the Costa Mesa Speedway possible.” Brad Oxley (2X National Champion) followed in his father’s footsteps and is the current event promoter at Costa Mesa Speedway with his wife Jaleen Oxley. What to expect at Costa Mesa Speedway. 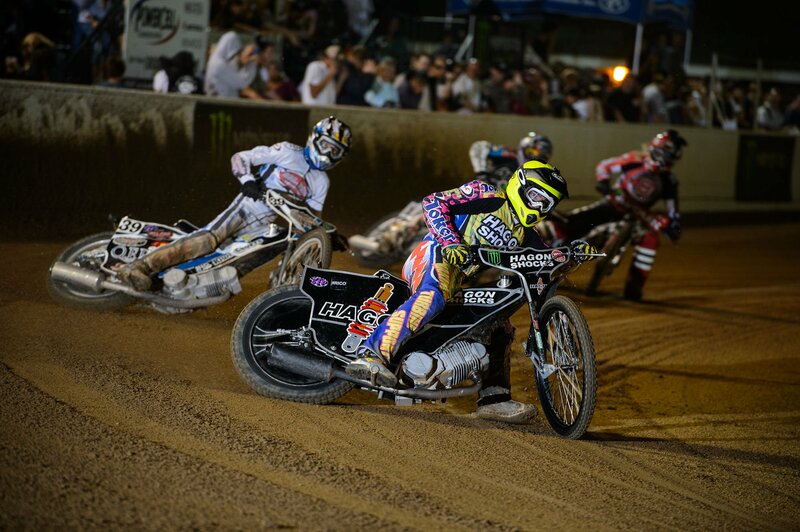 Jack Milne Cup – Speedway Motorcycles at Costa Mesa Speedway. Check out more Action Packed Mark Williams Videos! No brakes of any kind! All motorcycles must have a “Kill Switch” that must cut off the circuit of the electrical supply by the simple action of pulling a string attached to the rider’s right wrist. Fueled by methanol with no additives. Methanol allows for an increased compression ratio to the engine, producing more power than other fuels and resulting in higher speeds (approximately 130 kilometers per hour). Stay up to date on Costa Mesa Speedway News & Information by signing up to receive our FREE Email Newsletter!